This article originally appeared on thirstymag on April 6th. National Beer Day is not just another day in which we honor a random food or beverage. 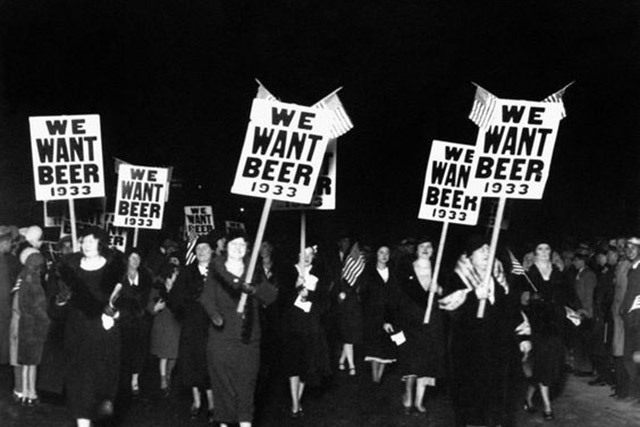 April 7th marks the anniversary of the Cullen-Harrison Act of 1933, which provided the first legal sales of beer since Prohibition began with the Volstead Act in 1919. Thirsty throngs across the nation were waiting for the clock to strike midnight, to enjoy the cold, low-ABV suds (around 4%) as well as wine. It’s New Beer’s Eve, you might say, hosted by House of Brews. Count down the clock starting on Friday, April 6th from 5PM to 9PM, for an open bar with exclusively Stone and Sierra Nevada, starting at House of Brews on 51st Street at 5PM, House of Brews on Restaurant Row at 7PM and finishing at New York Beer Company at 8PM. Tickets for the 5-9pm Open Bar available here. 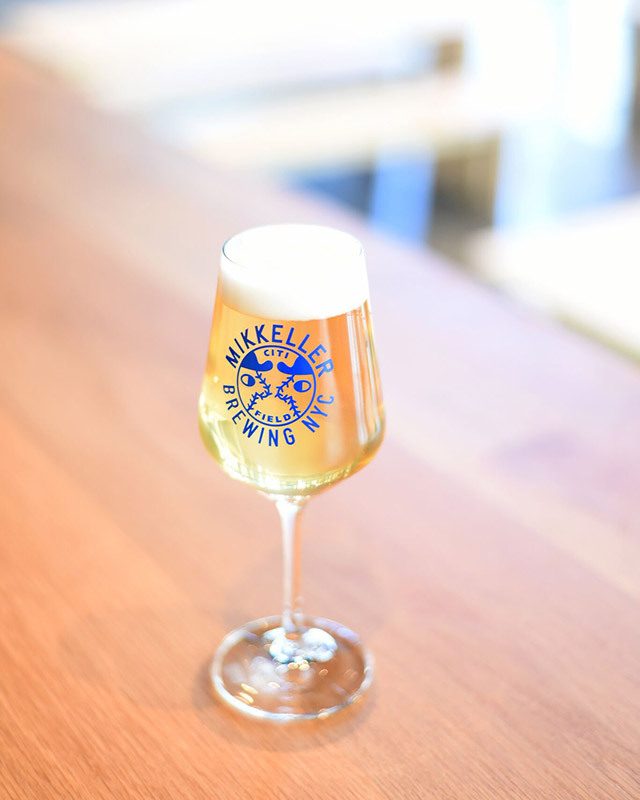 At long last, to the merriment of both fans of beer and baseball, the new NYC facility for Mikkeller, the Denmark-based brewery has opened its doors. This is Mikkeller’s first U.S. location outside of California and the latest addition to its lineup of bars, bottle shops and breweries worldwide. Grab a 4-pack of Henry Hops IPA or Say Hey Sally Pilsner to go, or sample some of the 60+ brews from Mikkeller SD, Mikkeller Denmark, and select friends’ brews. ● Grand Central Oyster Bar & Restaurant will offer the deal of Six Bluepoint oysters with a Blue Point Toasted Lager for $20.10. If you find yourself in Sunnyside, head on over to Maggie Mae’s on Queens Blvd. There will be prizes, vinyl-spun tunes, and plenty to drink. That will include Dragon & YumYums, the new tropical pale ale made with dragonfruit, yumberries, passionfruit, pear and black carrot juice that Dogfish Head brewed in collaboration with the Flaming Lips for Record Store Day (April 21st). Musicophiles of the early 2000s rejoice. 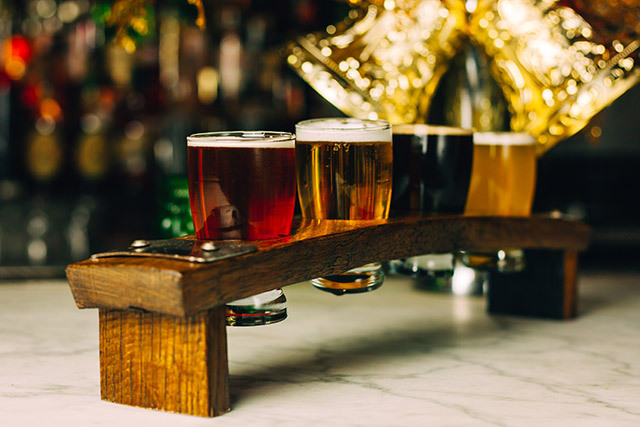 If you fancy a craft beer flight in a non-traditional craft beer environment, visit this bar inspired by a British actress of the Victorian era, decorated with actual vintage knick-knacks from the UK. Flights are $16, featuring selections from Firestone Walker, Ithaca, Cigar City, Green Flash and Grimm Artisanal Ales.Start with a flight, and make your way through their selection of seasonal and classic cocktails. When all else fails, follow your nose. Thankfully, NYC and the tristate area is littered with quality breweries. Find one in your neighborhood on the Untappd app, or search here. Cheers!